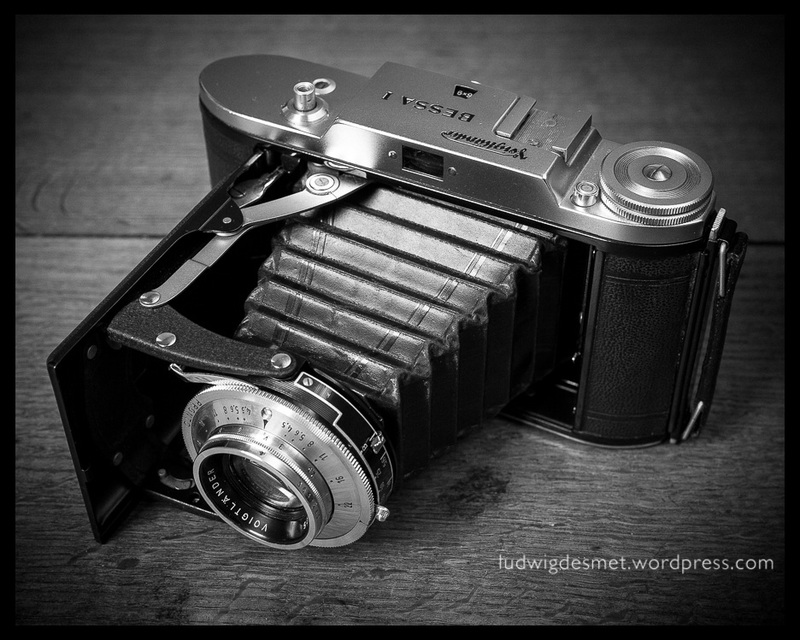 Can you imagine yourself within about 65 years, still photographing with the digital camera you have right now? Probably not. Nowadays’s technology is not meant to last for longer than 5, maybe 10 years. Even if there is no limited life time built into your gear (which might be the case, some say), the fast paced digital evolution will make sure that within 10 years from now, your current camera will be outdated and old-fashioned. The advantage of working with really old camera’s is that they will probably never be outdated or old-fashioned, at least not anymore than they are right now. It’s like an oldtimer car, it can’t get out of fashion, it already is, it has become vintage and will forever continue to keep it’s ‘admirers qualities’. I have been able to acquire some old film camera’s, which I am testing right now. I have to admit that the image quality in most of them is not up to current standards. Contemporary optics are way better, giving better results on a small sensor than the old stuff I am talking about. Even on the larger format negatives (6×9 cm) you do not get the image quality a modern DSLR is capable of. But the images have a different feeling to it. Compare it to vinyl vs. digital music. I’m by far not a connoisseur of vinyl, but some are convinced that vinyl has a true’er sound. What I am certain however, when the day comes that my 5D mark II camera is not up to par with the new developments in camera technology anymore, these old filmcamera’s will deliver just as good as they do today. They are all mechanical, and if you take well care of them and have them serviced regularly, and even more important, use them regularly, they will probably last a couple of decades more. 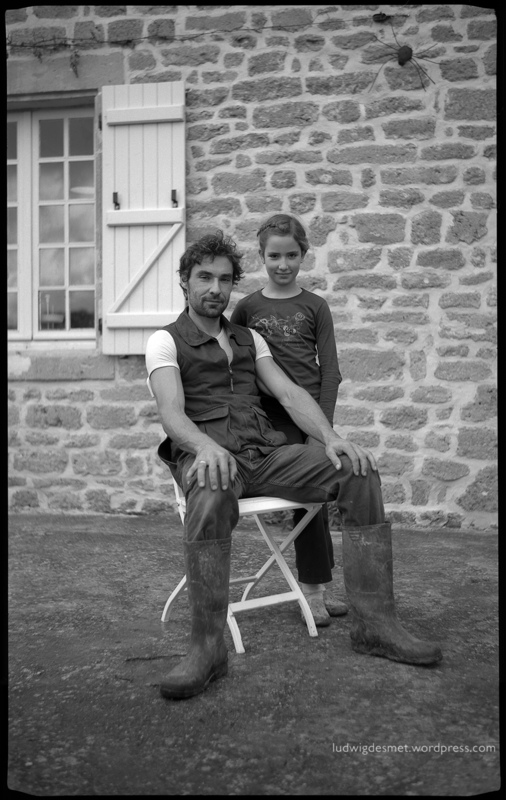 Enjoy this wonderful portrait of my friend Peter and his daughter, taken with a Voightländer Bessa I, (1949-1957?) on Kodak T-Max 100 film. Negative size 6×9 cm. Scanned on Epson Perfection 3170 Photo. the camera it was taken with: On a regular 120 film roll, you can make 8 exposures. This makes you want to think about pressing the shutter twice before you actually do. It has of course no auto focus, no auto light meter, no auto film transport, a very tiny viewing window that makes compositing your image a bit ‘un-precise’ at least, but it is very well built, beautifully finished and still working after 65 years.